Telltale Games have made a name for themselves, with point ‘n click revivals such as Sam and Max, undead cult favourite The Walking Dead and their current darling Fables. Their next project though? A trip to Pandora, in Tales From The Borderlands. 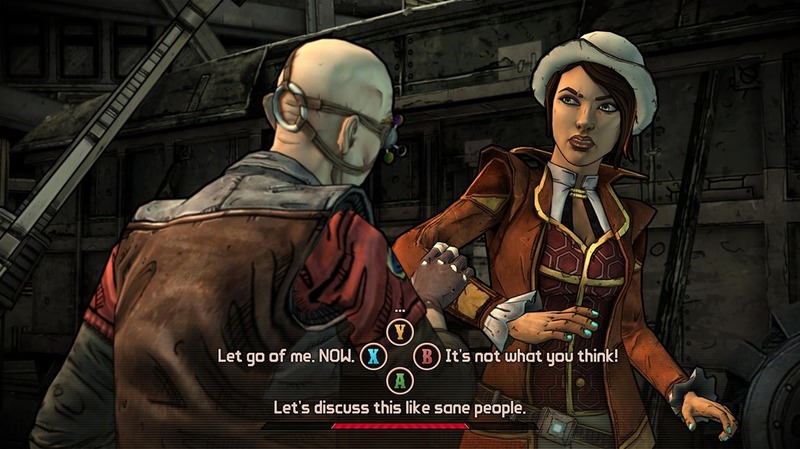 I’m not exactly sold on the idea of merging that game with the style of Telltale. But at least it looks solid visually. And that’s something that Telltale is aware of, as they flesh out a story for that crazy universe of wound-salting maniacs and mega-corporations run amok as players loot and shoot their way to survive. “How does a game series that’s known for bazillions of guns morph into something like The Walking Dead or The Wolf Among Us? Why make a Borderlands game that’s not a first person shooter?” Telltale producer Adam Sarahson said on the PS Blog. Because, if you pause to take a breath between shooting everything in sight and stealing your buddies’ loot in multiplayer, you’ll know that Borderlands features some amazing characters and stories in a world that’s rich in dark humor. 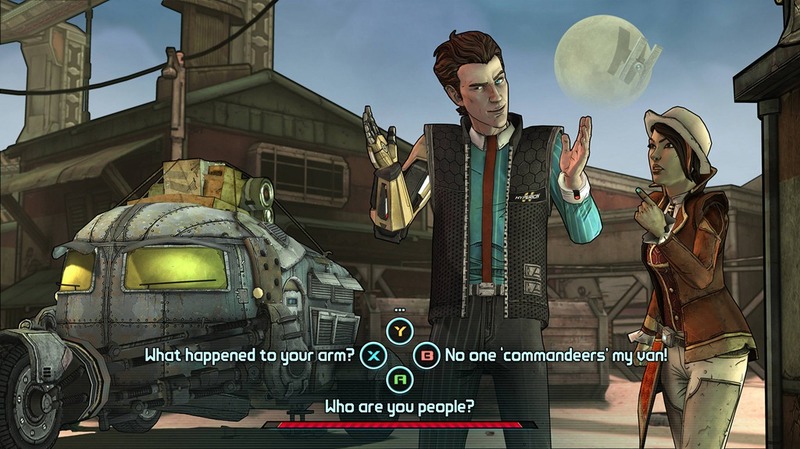 Handsome Jack, Claptrap, Tiny Tina, Angel, Moxxi, Zer0… it’s a big list. We (Telltale) are all about compelling characters and stories, and we see an amazing opportunity to build on what Gearbox has created. Gearbox’s world is huge. 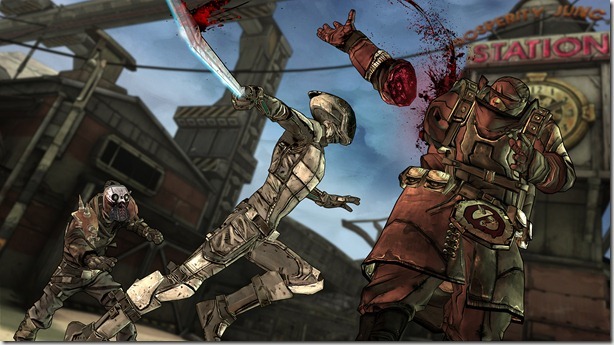 The main Borderlands games and the DLC have only scratched the surface; they’ve built a world that rivals Star Wars in its richness. That sounds like crazy hyperbole, but the details, the characters, and the history are all there. You just haven’t seen it all yet. Pandora has a wealth of stories to offer, and Gearbox wants them told. Telltale is going to collaborate with you through the choices that you make to get some of those stories out there, and to create a brand new Borderlands experience. 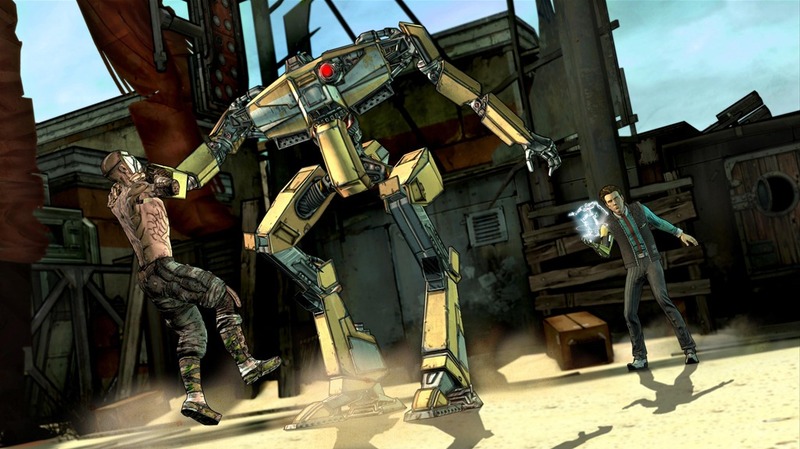 If you play Borderlands simply for the sake of shooting stuff, then you might not be a fan of Tales, but if you enjoy being on Pandora, hanging out with and finding out more about all of the amazing characters, and/or you’ve enjoyed what we did in The Walking Dead and The Wolf Among Us, then this might be a game series for you. 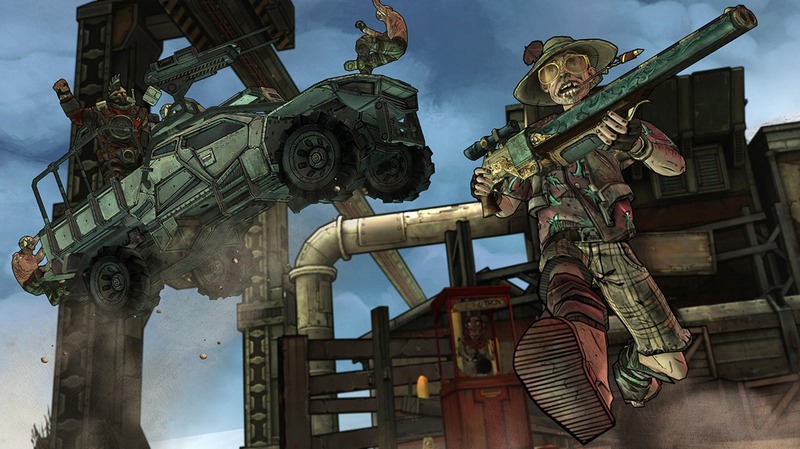 According to Sarahson, any loot grabbed in this game can be used in “other areas of the Borderlands franchise”, as the game takes place after the events of Borderlands 2. It’ll be another episodic series, retailing at $4.99 a pop, as players take on the role of either the Hyperion company man with a plan Rhys or the fast-talking con artist Fiona.